Change Your Game with Scrum for Hardware and Manufacturing. Learn Scrum, the framework Tesla uses to deliver next generation products quickly. How are companies like Tesla, Apple and Google applying software development process to deliver hardware products? Why are companies like Ford transitioning to these techniques? As the importance of speed, innovation and customer satisfaction increase, companies are turning to Agile and Scrum. Manufacturing, telco engineering, hardware development, physical product development are different from software. Scrum can provide excellent benefits for these hardware and manufacturing industries however those differences require a different hardware friendly approach. Our Certified Scrum for hardware and manufacturing course is unique. All of the examples, stories, and case studies are from the equipment, aviation, automotive, electronics or medical device product development. We take you through how Scrum can be applied in design, prototyping and production environments. We show you how Scrum will change your thinking about everything from procurement to production line design and setup. We don’t just cover Scrum in this course as Agile is broader then the Scrum framework. We cover product engineering and architecture ideas that enable rapid development, including test driven development, object oriented design and interface patterns as they apply to hardware. We look at set based design and the techniques Toyota used to develop the Prius in 2.5 years. Solving for a workable Definition of Done. Lean thinking is critically important in manufacturing and we look at how Scrum and Lean complement each other to increase speed, quality and the pace of improvement in work systems. 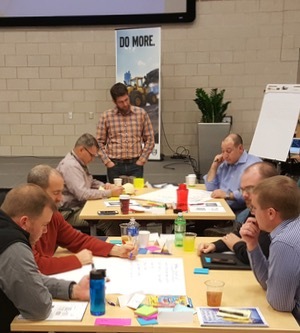 Innovel’s Certified Scrum training for Hardware and Manufacturing is a 3 day course that meets the Scrum Alliance’s Certified Scrum Master® (CSM) learning objectives and certification is an option for everyone participating in the training. Our Scrum for Hardware and Manufacturing training is fun and engaging. Our courses are highly interactive workshops where participants learn by doing, discussing, playing and debating. Our instructors have engineering degrees and understand the differences between software and hardware worlds. Over 90% of all Innovel students “definitely recommend” Innovel’s training to their colleagues. In fact our our biggest business is repeat customers getting training for others within their company. 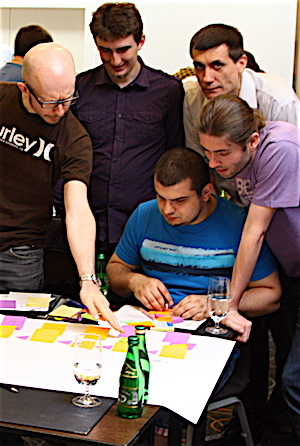 The course covers far more than the basics of Scrum as outlined by the Scrum Alliance. Our goal is to provide you with concrete ideas you can implement the day after in your company. Our students learn how to implement Scrum with an Agile mindset, so they can adapt to the many possible issues that will arise. When you leave our Certified Scrum for hardware and manufacturing course you will have a new set of tools and a more effective way to do work and complete product development wherever your career takes you. Recommended reading for individuals interested taking the exam is the Certified Scrum Master Study Guide. Note that both this guide and the exam are about Scrum in a software context. 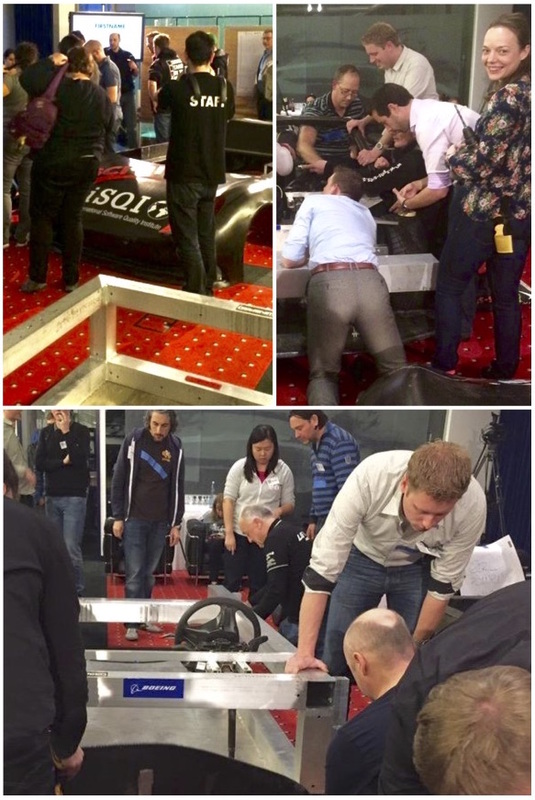 Build a car in a day using Scrum! Combine Scrum for Hardware and Manufacturing with our Scrum Simulation with LEGOs to engage staff in a fun and hands on experience using Scrum. 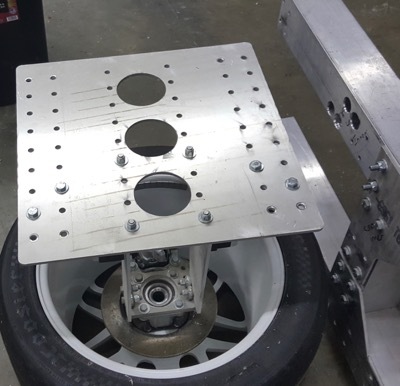 Take your training to the next level with a build party where we build a 100mpg Wikispeed car in a day with Scrum! Contact us for more details. We guarantee our Certified Scrum for Hardware and Manufacturing workshop will be an engaging experience that will give you the knowledge and confidence to start implementing Scrum and Agile in your plant or organization. Contact us for a quote for onsite Certified Scrum for Hardware and Manufacturing (CSM) course for your teams and organization. 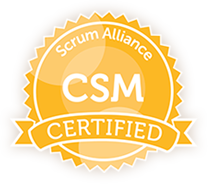 Only trainers the Scrum Alliance recognizes as a Certified Scrum Trainer (CST) may lead a CSM course. There are approximately 200 people worldwide who hold the CST credential. Innovel has had Certified Scrum Trainers on staff since 2007. There are only a few CSTs worldwide with experience doing Scrum for hardware and manufacturing training. 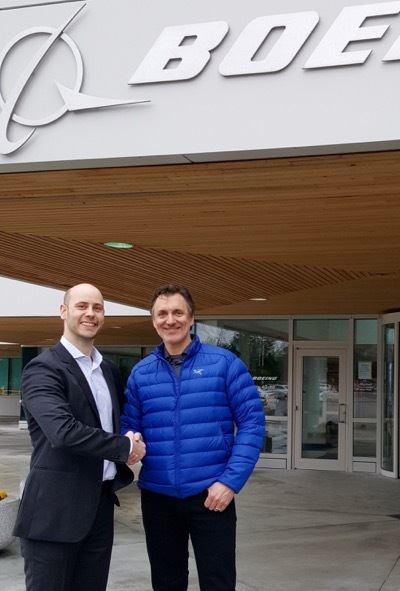 Your instructor Robin Dymond CST is an in demand international consultant and a leading Scrum Trainer with 26 years in technology and 14 years of experience using Scrum. He has trained hardware and manufacturing product teams in Scrum. In 2016 Robin completed in the first ever Scrum in Hardware course for Agile and Scrum trainers with Joe Justice of Wikispeed and Scrum Inc. Since 2006 Robin has trained over 4000 people in Europe, Canada, Brazil and USA. He has given numerous presentations on implementing Scrum in large complex organizations at Agile conferences in the USA and Europe. A fan of high performance driving and autocross, he prefers his cars small, easy to work on and very fast. Why should I take a Certified Scrum for Hardware and Manufacturing (CSM) course? The CSM designation the world's leading Agile certification. Our Certified Scrum for Hardware and Manufacturing (CSM) customizes the excellent CSM training specifically for the hardware and manufacturing context. The CSM is a popular employment requirement to participate or lead an Agile or Scrum team. The CSM is also the start of the journey and is a pre-requisite for a Certified Scrum Professional (CSP), the Certified Team Coach (CTC) and the Certified Enterprise Coach (CEC). How are Certified Scrum for Hardware and Manufacturing (CSM) courses offered? Currently we are offering Certified Scrum for Hardware and Manufacturing (CSM) courses onsite to clients so teams train and learn together. We will provide the course onsite if you have a group of 12 or more. We can tailor some of the material and examples so they are more relevant to your situation. Contact us for more information. How long is the course? What facilities do you need to run the course? 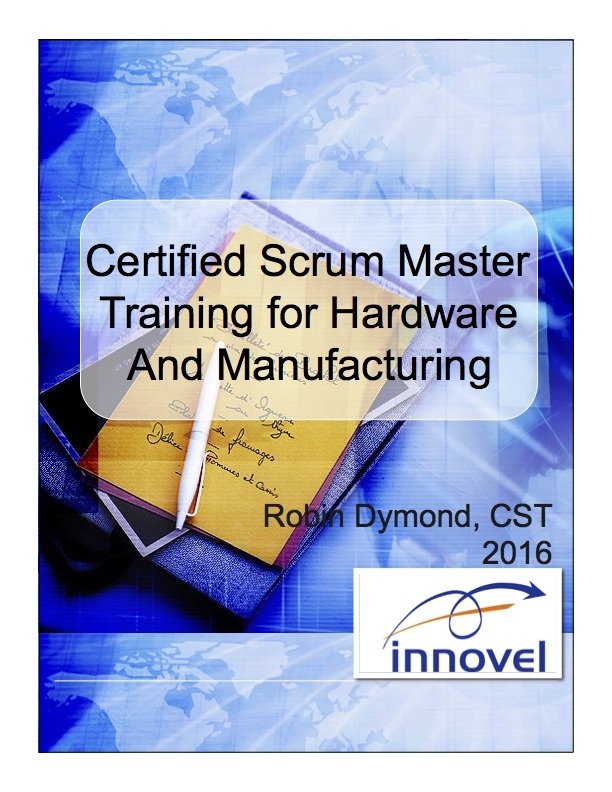 The Certified Scrum for Hardware and Manufacturing (CSM) course is 3 days. We need a room that can accommodate tables of 4 to 6 people sitting in groups. We will provide a logistics document that details the setup requirements. If you are not satisfied at the end of a course, let us know. We'll work with hard for you to ensure you are satisfied. There's many options so contact us and let us know. You will help us improve. Is it possible to not be certified as a CSM? They did not complete the homework assigned to make up for missed course time to the trainer's expectations. After the training they did not follow directions in the Welcome email from the Scrum Alliance inviting them to set up a profile to gain access to the online CSM test. After setting up a profile, they did not complete and/or pass the online CSM test administered by the Scrum Alliance.